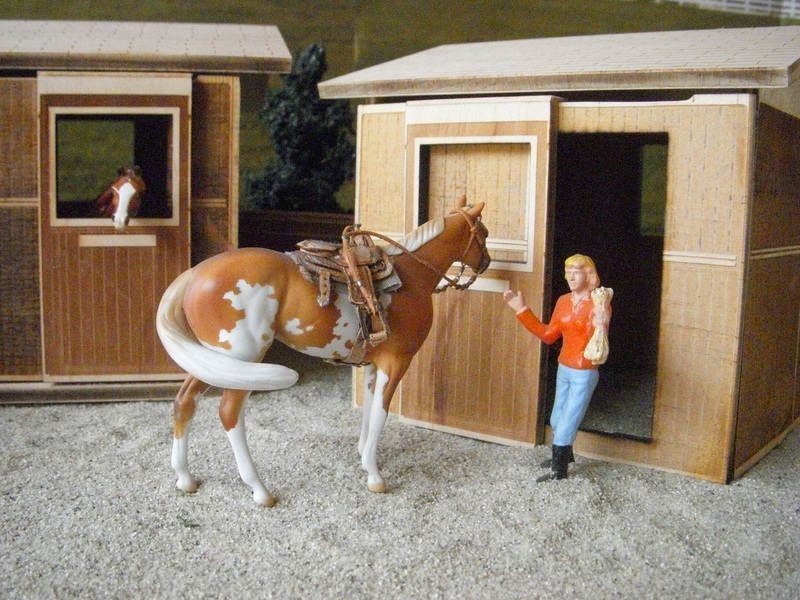 Peter Stone Chips scale model horses. 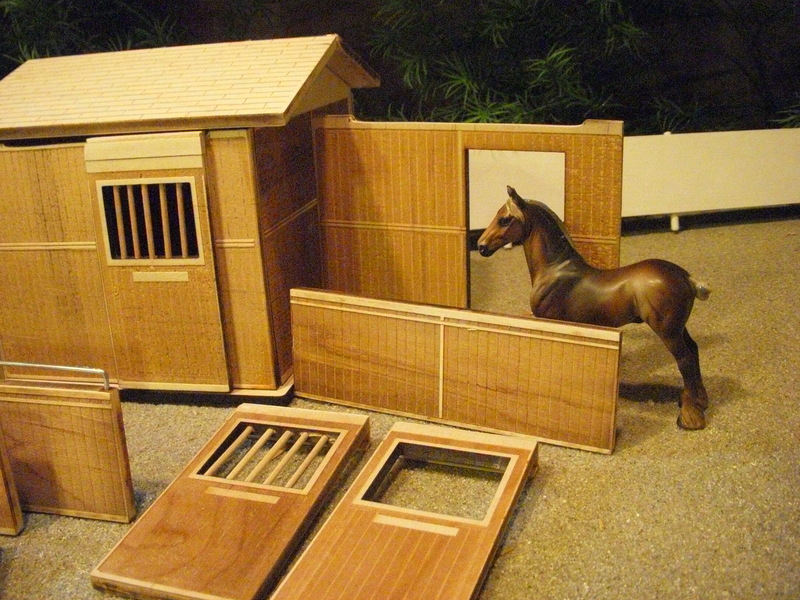 or for your childs imagination. 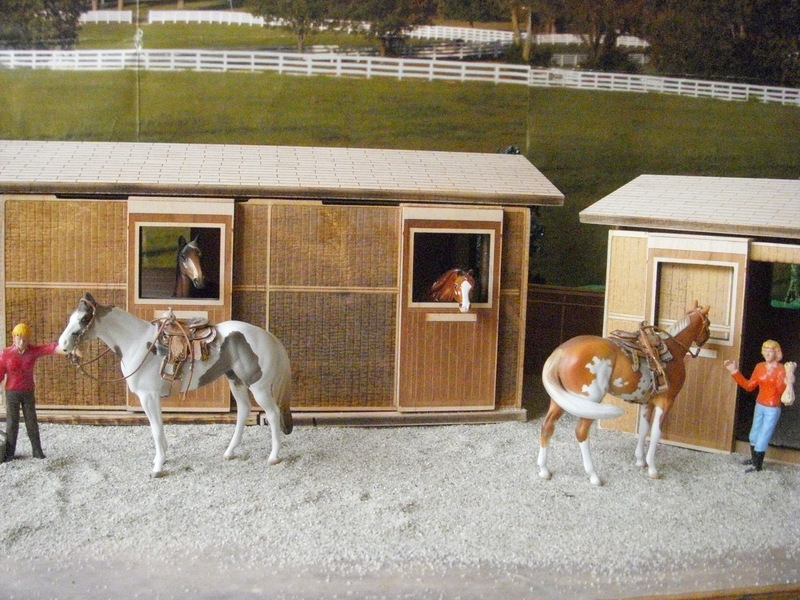 Sold in kits and as separates. 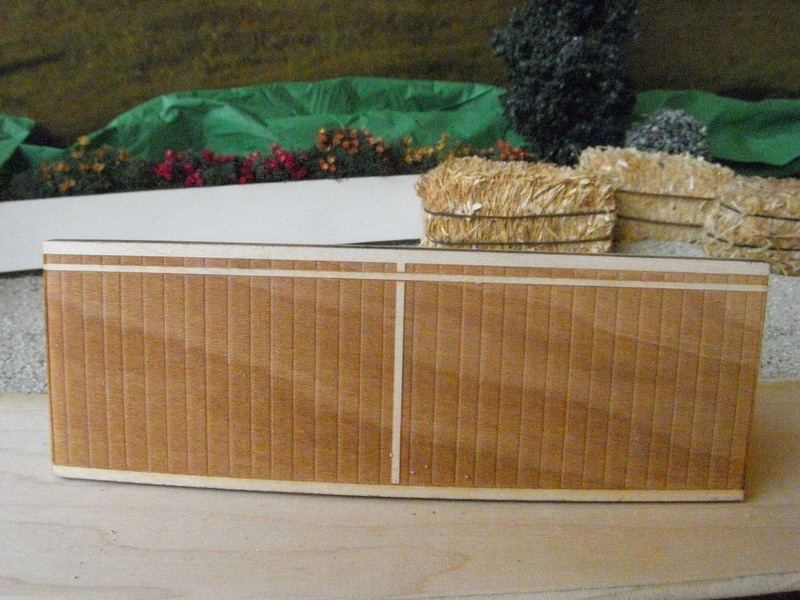 You glue and assemble to your liking. 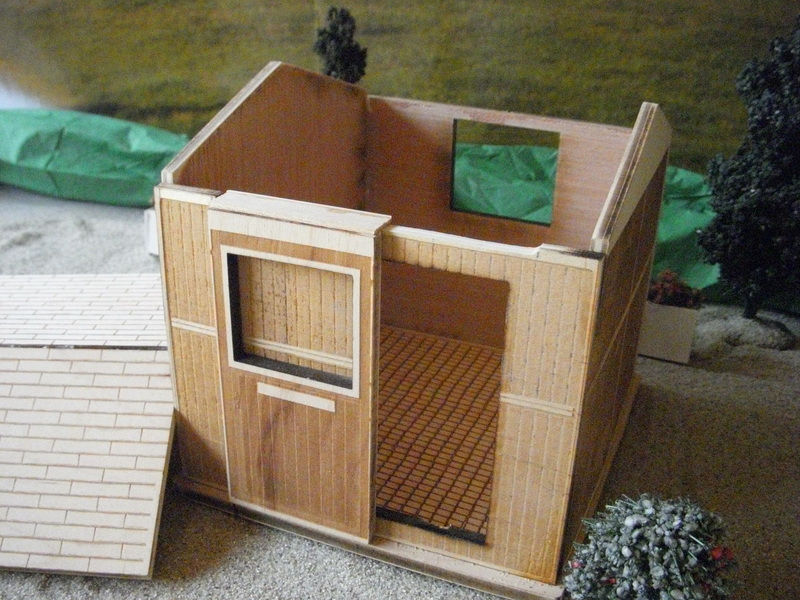 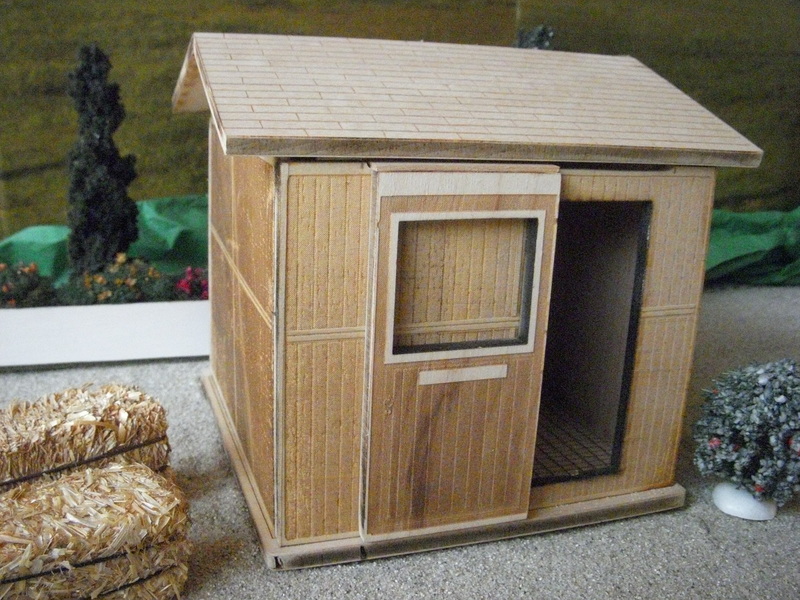 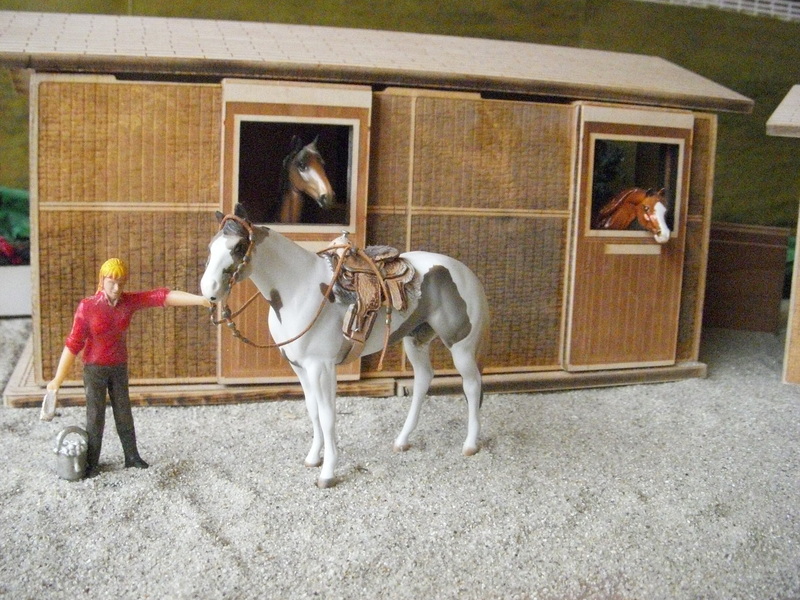 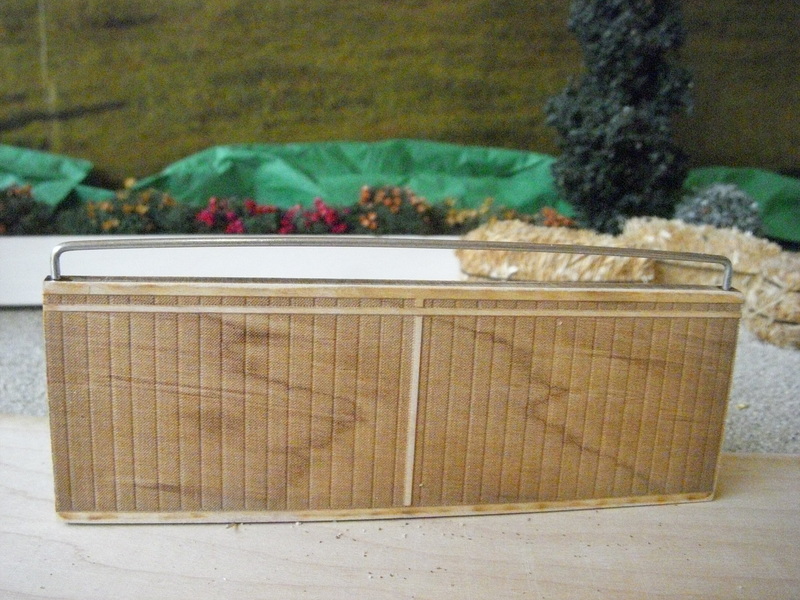 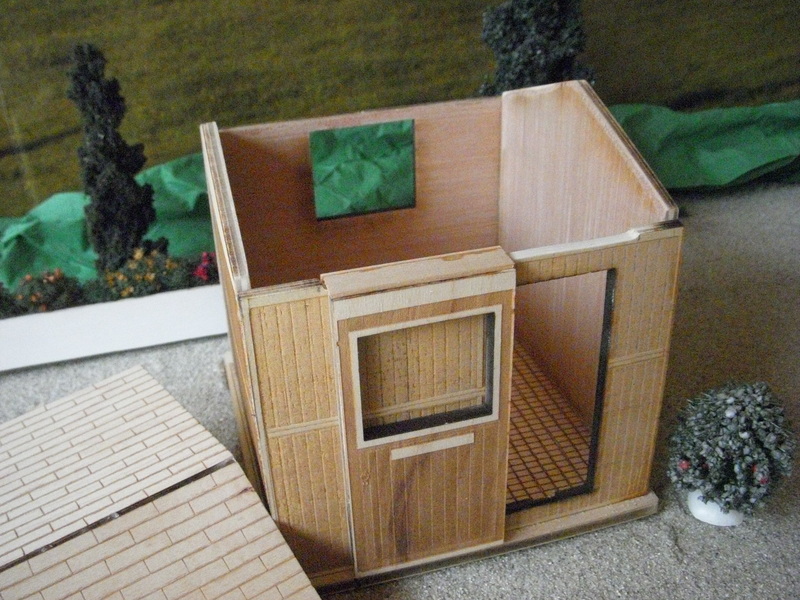 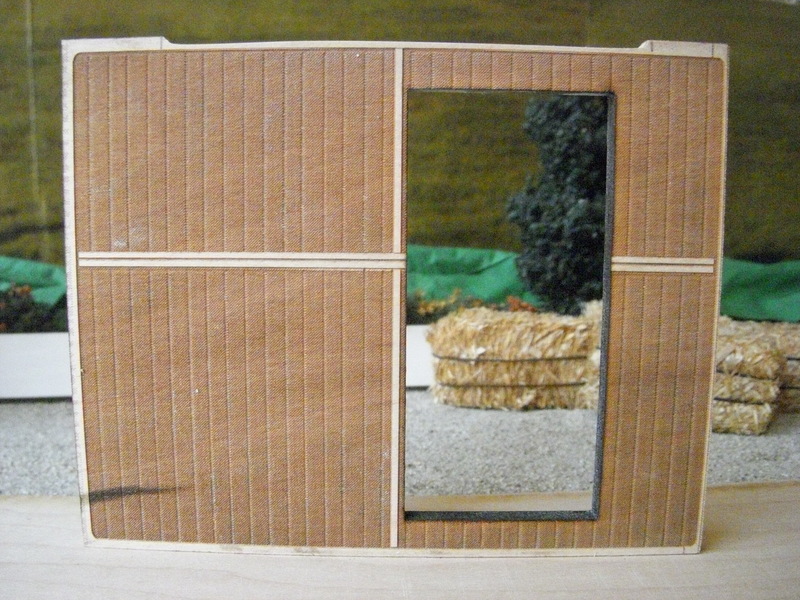 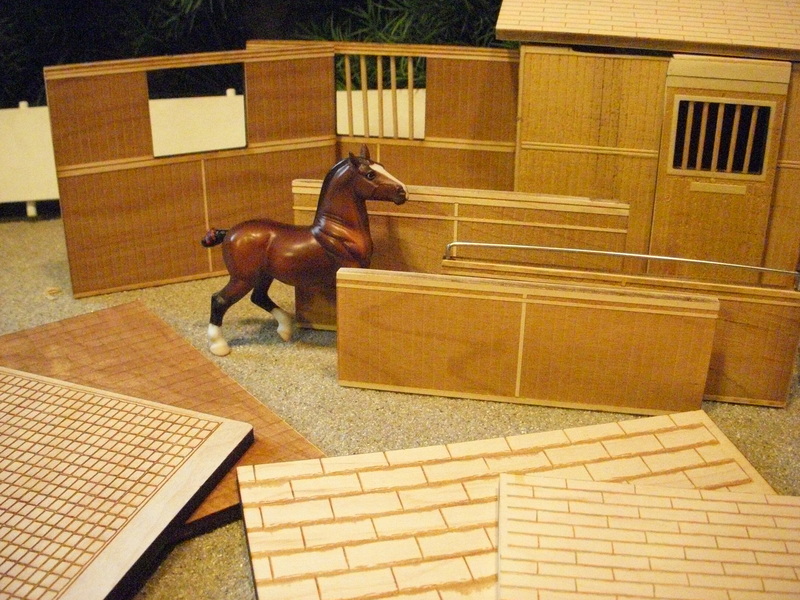 Creating barn and stable areas for your model horses. 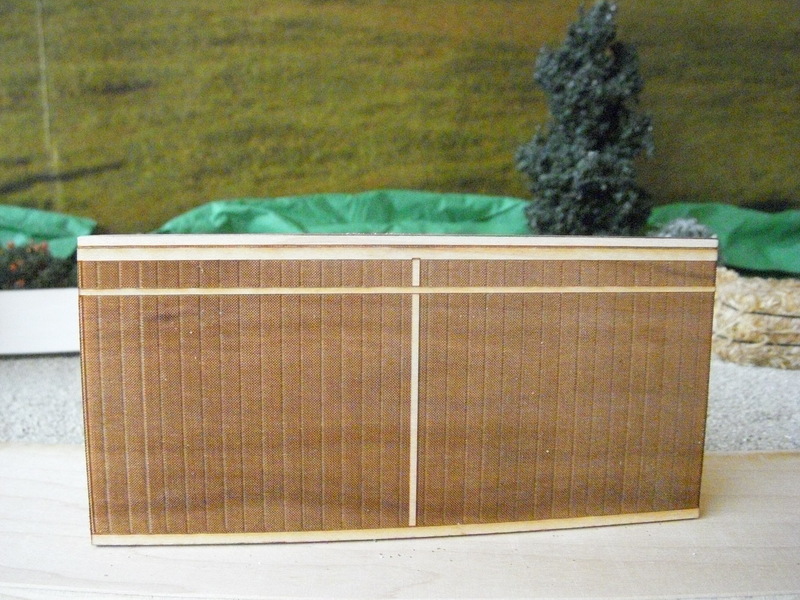 Made from laser cut plywood, these durable panels can be painted and sanded to your needs. 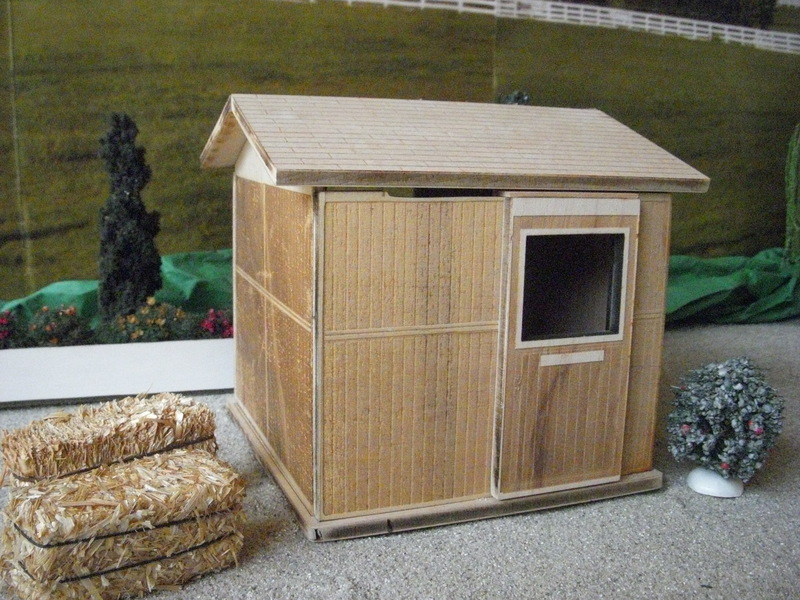 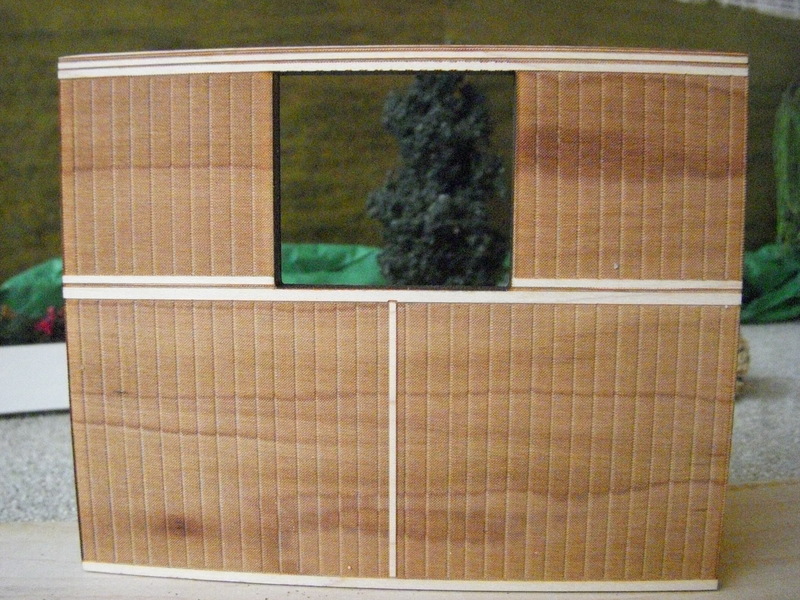 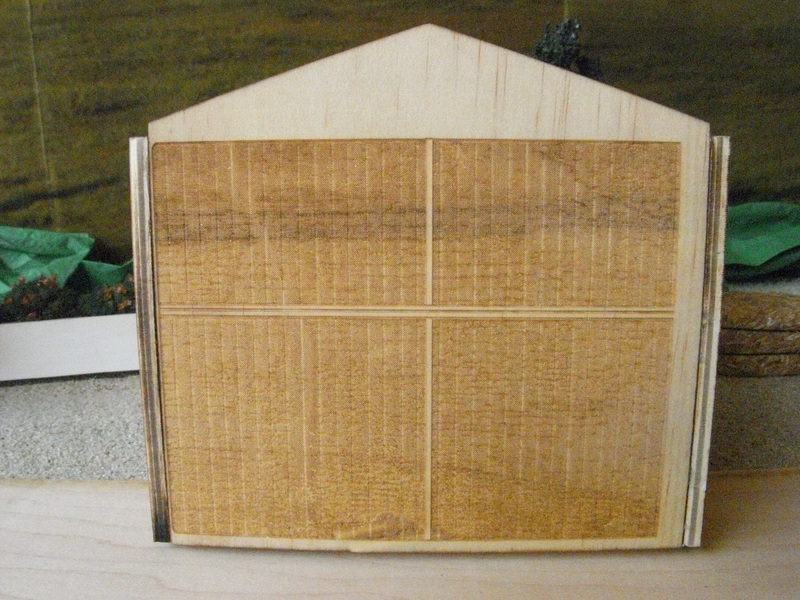 This simple barn kit comes with 2 plain roof support wall panels, 1 wall with window, 1 wall with door. 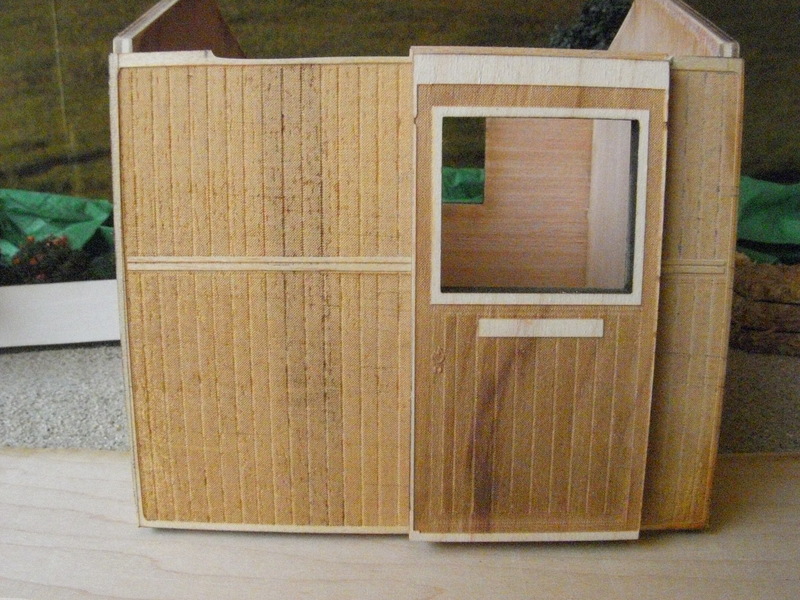 1 door with window and slide mechanism. 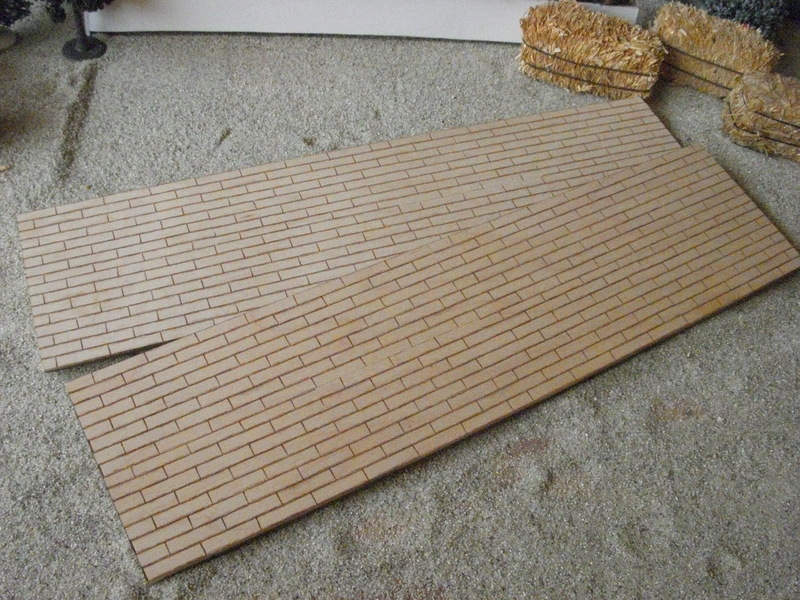 1 cobble stone design floor base. 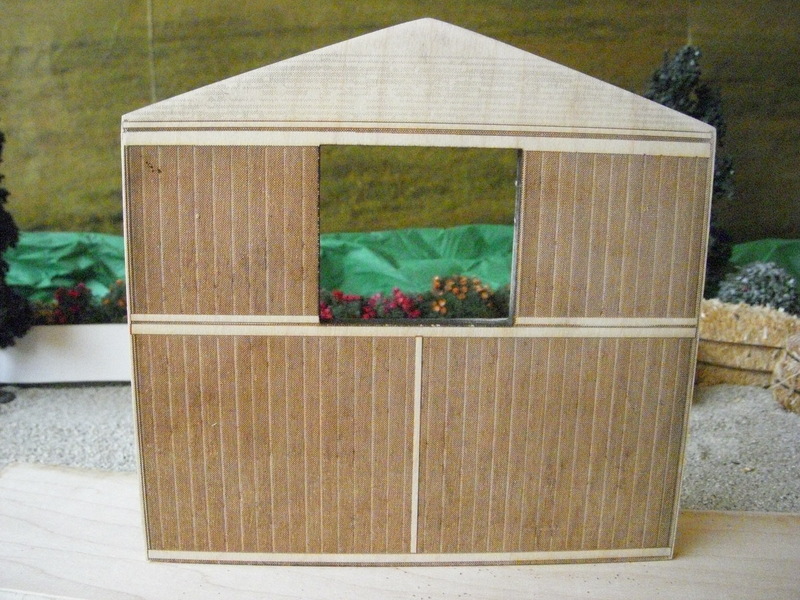 2 roof panels. 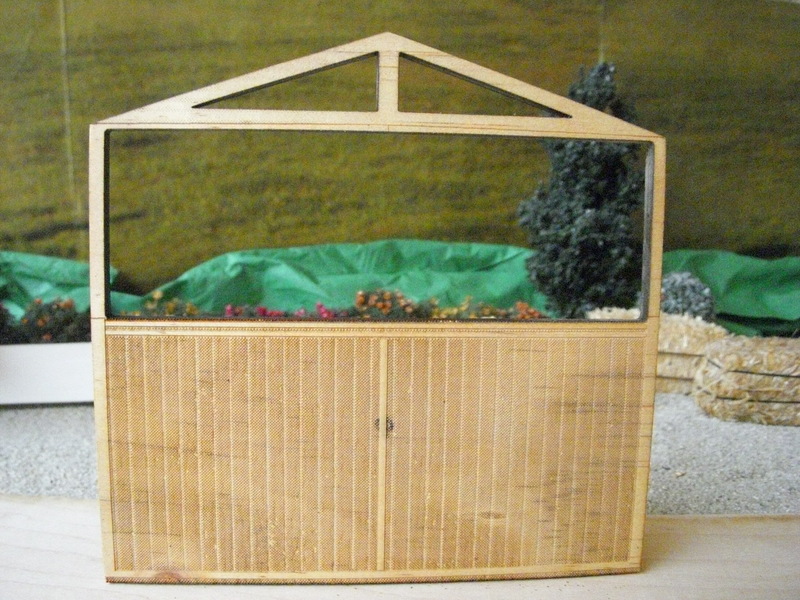 Sold by the piece to create your own designs. 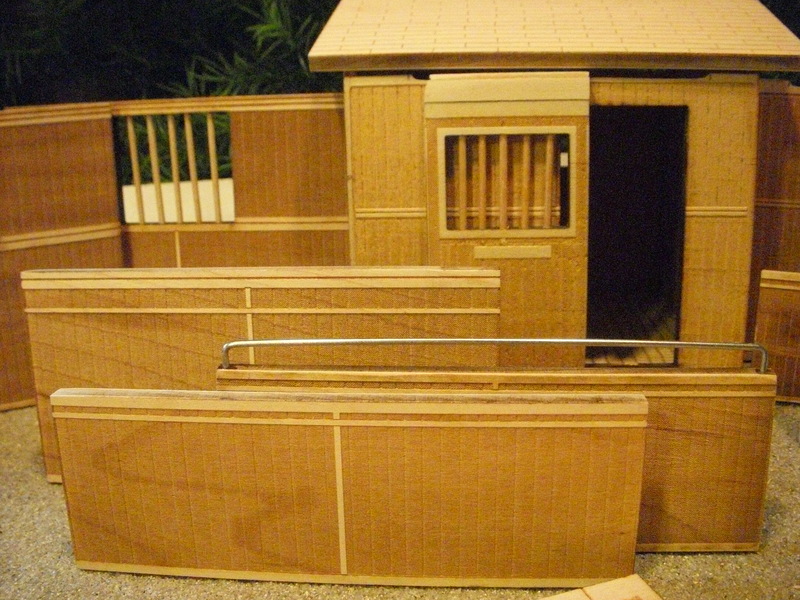 Some configurations can be custom made, please email for price quote. 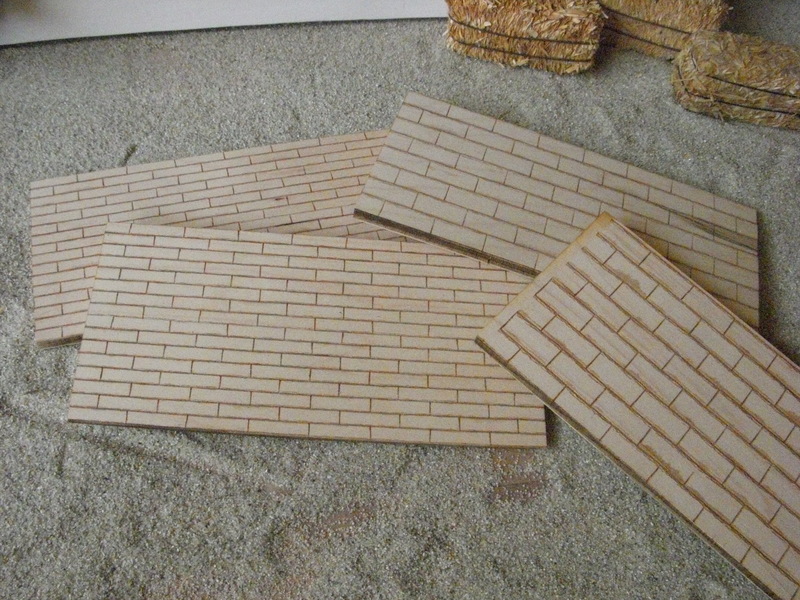 Plain board $3.00 ea//cobblestone design $4.00 ea. 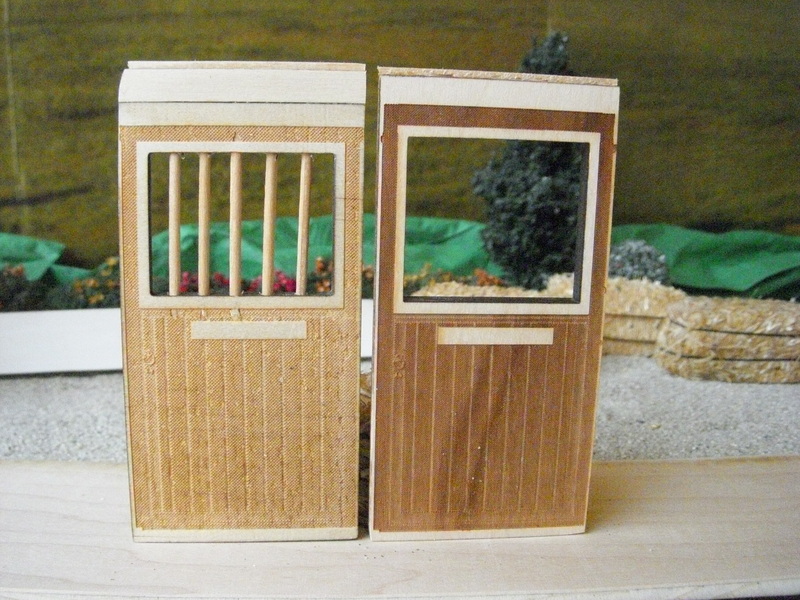 Doors measure 4x2 inches. 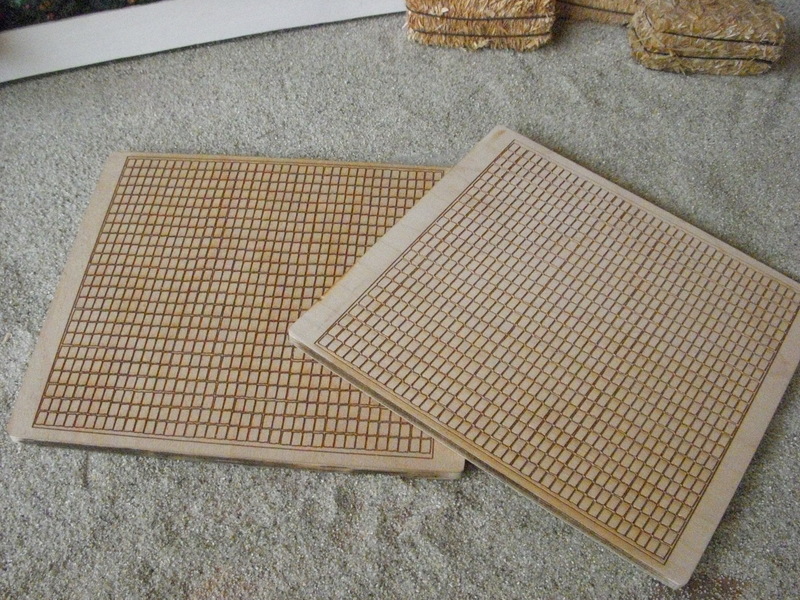 Come in two styles: with bars $3.00 ea. 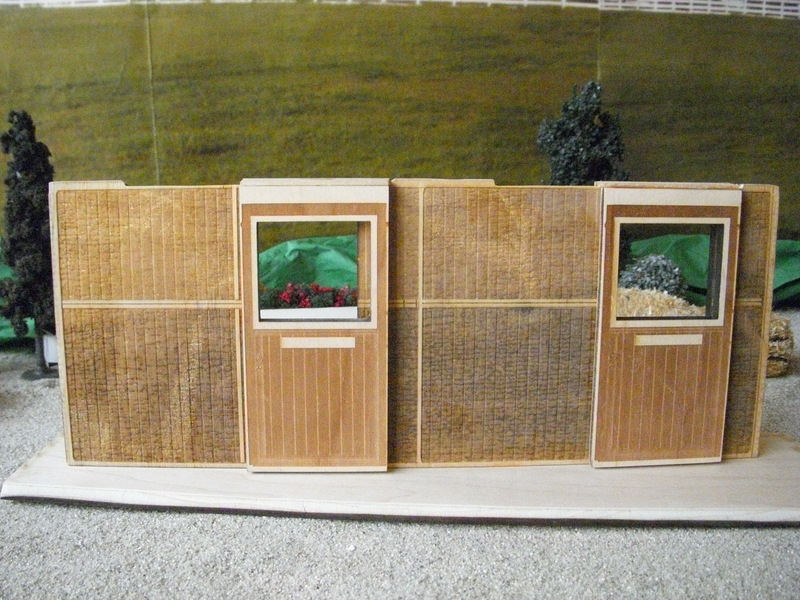 and without bars $2.00 ea. 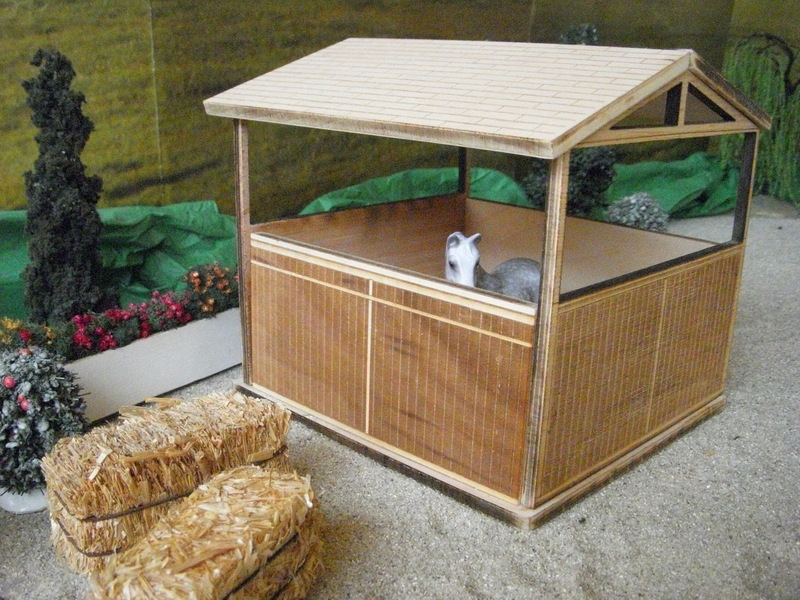 Comes with slide mechanism attached, design may vary. 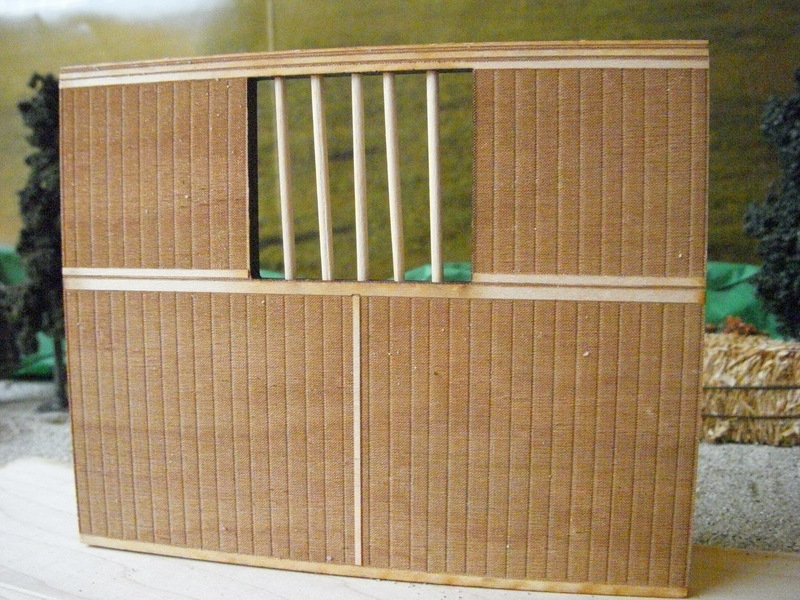 Wall with window in center, shown here with bars added.